This piece is about the Egyptian gods Aker sunrise and sunset as well as Ra, the entirety of the sun. Aker is represented by the head of a lion. 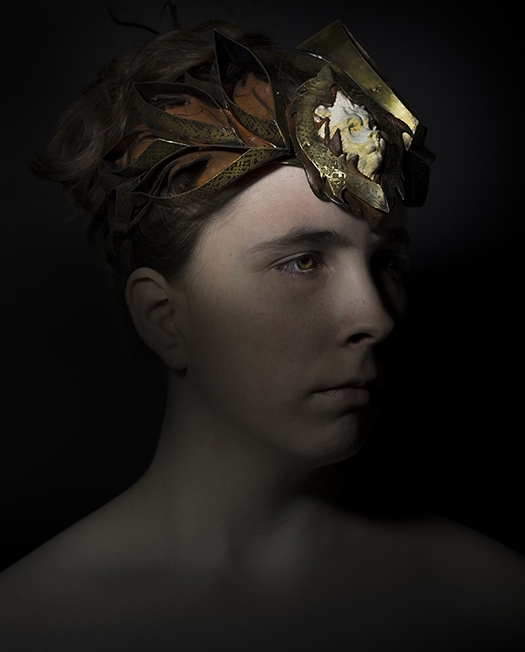 As a headdress, this piece is reminiscent of amazon warriors and the strength of femininity. Thanks to Gozde Yilmaz for the model photograph.